Microsoft on Tuesday warned business customers to begin migrating from Windows 7, exactly three years before it reaches end of life. Markus Nitschke, the Head of Windows at Microsoft Germany in a statement said that enterprises would pay dearly for sticking with the platform’s outdated security compared with Windows 10. According to him, Windows 7 does not meet the requirements of modern technology, nor the high security requirements of IT departments. “While newer tools make Windows 7 less difficult for enterprise customers to migrate from than XP, Microsoft is still urging corporate customers to begin the transition three years out from Windows 7’s end of support. “They stressed that enterprise faces enormous dangers if they do not. 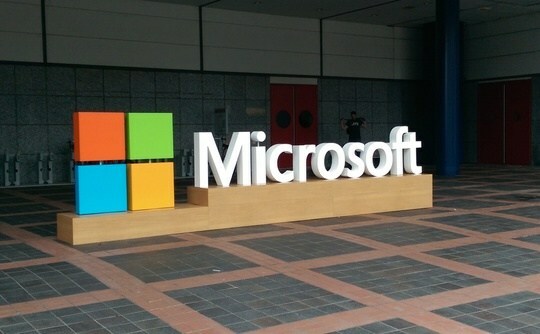 “Microsoft has kicked off its three-year countdown for Windows 7’s end of extended support, warning enterprises they will pay dearly for sticking with the platform’s outdated security compared with Windows 10. “Enterprises can of course delay upgrading until Jan. 13, 2020, when extended support ends for the 2009 OS and it no longer receives patches, unless the customer is paying for a pricey Microsoft Custom Support Agreement. “However, as Microsoft has warned, Windows 7, which moved to extended support in 2015, is outdated and will drive up operating costs from remediating malware attacks that wouldn’t penetrate Windows 10 systems. “As early as in Windows XP, we saw that companies should take early steps to avoid future risks or costs,” he said. Mr. Nitschke said that the message came as Microsoft published research showing that Windows 10 Anniversary Update in-built security could neutralise two recent zero-day exploits even without the patches required to protect earlier versions of Windows. He said that Windows 10’s modern security features touted by Microsoft include Windows Hello biometric login, its AppContainer sandboxing technology, and Windows Defender Advanced Threat Protection. According to him, it will gain new features in the upcoming Creators Update. He said due to the pressure to upgrade, enterprise organisations on Windows 7 soon would not have the additional zero-day protection offered by EMET or the Enhanced Mitigation Experience Toolkit since 2009. Mr. Nitschke added that Microsoft in November extended EMET’s end of life from January 2017 to July 31, 2018.